This location is a single story 'medium' SkyVenture wind tunnel. The ground level design puts the flight chamber on the same level as the rest of the facility. The business opened its doors to the public in November 2016 at it's location near the Cumberland Mall. Average rating of 4.4 from 14 review(s). We were double booked and when I called the manager couldn’t see the double charges on their end. I had to send screen shots of my on line AMEX bill so they could “investigate”. That was almost a week ago. No call from them. No refund. I had to contact Amex today. 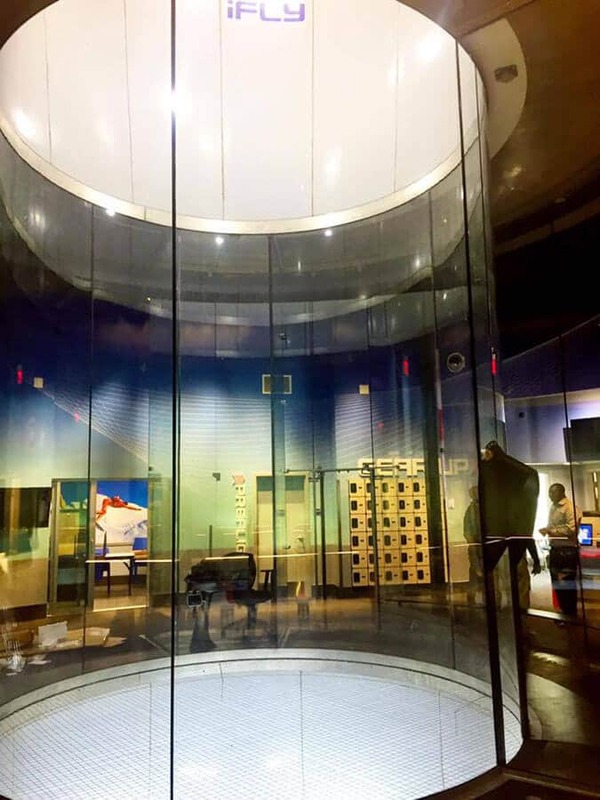 I can’t find a way to contact corporate IFLY for a formal complaint against this location. Oh my word... BEST TIME OF MY LIFE!! Oh my word. My instructor, Hassan, was so sweet and funny! The staff is so kind. Hassan was very encouraging and got me to go higher which I’m glad he had me try. It was amazing! I DEFINITELY will be going back! I enjoyed iFly more than a tandem skydive. Much less danger at half the cost - you should make a reservation now! I THINK EVERYONE NEEDS TO TRY THIS. MY MOM WHO IS 73 SAID SHE IS GOING TO DO IT. Staff was so friendly. A lot of fun for the family. The first time I was really scared, but once I was in the wind time I just had a lot of fun. My husband and I did a "baby swap" and took turns holding our 18 month old. The instructors were really nice and understanding. From start to finish they sincerely wowed me. My boy-friend and I received certificates from my parents as a gift and a week before they called and set up the fly time. When we arrived we were greeted warmly by their front of house staff and they identified us and directed us to go in and watch the group flying before us and enjoy! We waited for about 15 minutes and everyone was having a blast. The instructors really know what they're doing and how to make you feel comfortable vs. terrified. We went back to the training room and the trainer was so energetic and fun I was already pumped up enough to begin with! We learned all of the hand signals to use while flying for safety reasons. We then suited up and waited in line to fly. The entire time it felt like a big party and learning experience. What a wonderful time!!!! Julia was great but not what I expected. I want to start of with saying a few positive thoughts about ifly. The facility was very nice and Julia the manager on staff was very sweet. 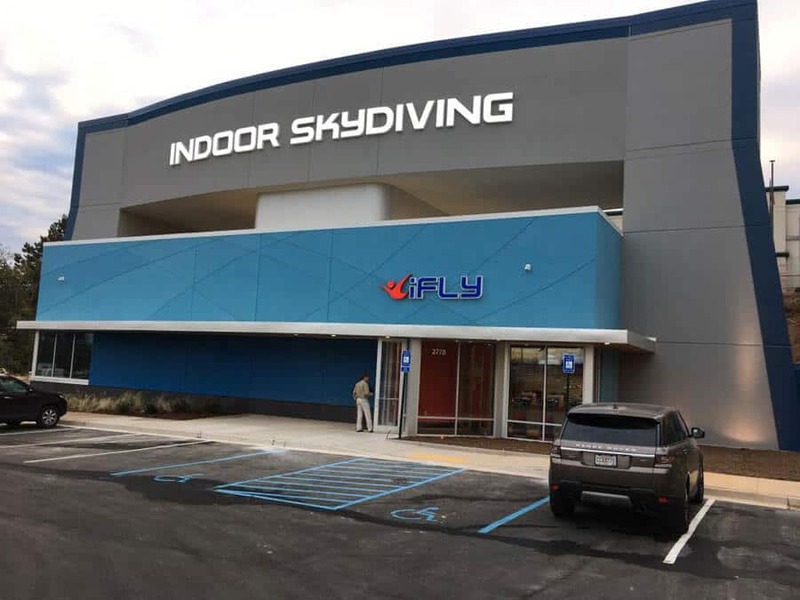 My issue with ifly Atlanta location was a few things. Now, I have flown before but my husband has not. So I knew what to expect but he did not. After greeted and signed in we were asked if we wanted to add something to our flight (I don't remember what it was called) it was $10.00. No biggie but essentially what you were adding to your fly was to fly with the instructor to a higher level of the tunnel, up and down a few times... Well we were expecting to do that already, not be added like specialty. We were then instructed to have a seat in the tunnel room and wait. Waiting time would have been roughly 30-40 minutes prior to our reservation. After sitting in the tunnel room and observing he said "Is that it? 2 minutes for $150.00?" I said yes I guess so. After sitting there talking about it we decided it was not worth the money and were interested in the refund policy, as this is not what we were expecting at all. Julia was great and was able to give us a full refund which I did not expect due to our appointment taking time on the schedule but she did. Which I was very impressed. So Thank you we greatly appreciate it. Overall... I think this is something great for kids not an adult time or date night because that's what it was for us. That was super fun. Well run. Awesome! What an experience! Everyone needs to put this on their "To Do" list. Aaron was an awesome instructor and made the experience even that more fun. Highly recommend!! Our instructor Aaron made us feel confidant & happy. Great times to do again.